Day 1 – Arrive at Shannon Airport on early flight. From Shannon you will be conveyed by luxury transport to the Cliffs of Moher, one of Ireland’s most popular attractions and your first view of the Atlantic Coast and rugged landscape of Western Ireland. 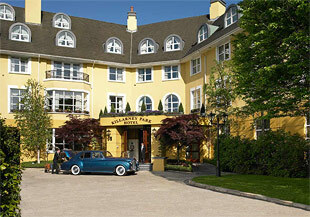 After this visit onward travel to Killarney, Co. Kerry to book into your accomodation for 5 nights. 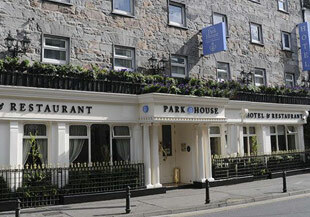 Afternoon free for rest or to ramble around Killarney Town and experience its wide variety of restaurants and pubs. Day 2 – Tour of Killarney Valley. Having been collected at your accomodation, travel to Kate Kearney’s Cottage. 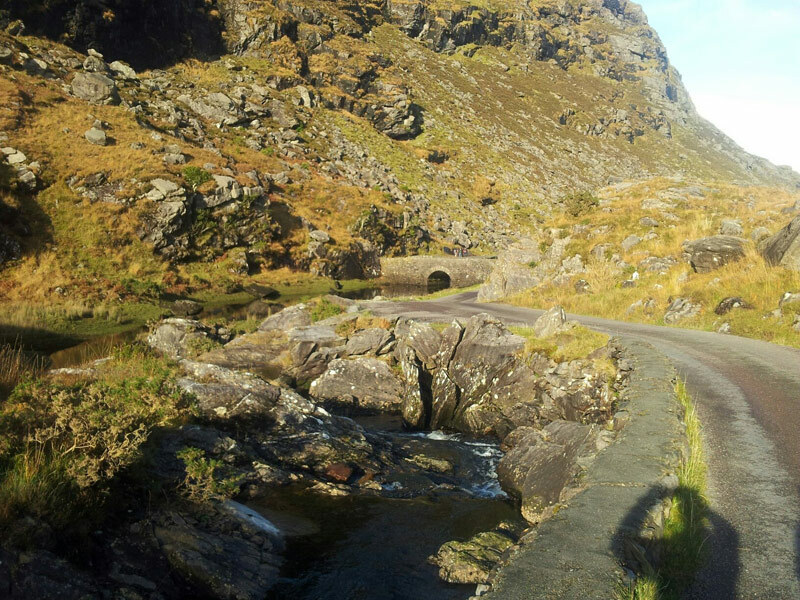 From here travel on foot or by horse drawn transport through the magnificent Gap of Dunloe to Lord Brandon’s Cottage for a light snack. This is a 7 mile journey with incredible scenery. From Lord Brandon’s Cottage travel by boat through Killarney’s three lakes and arrive at Ross Castle, Killarney. Time for a visit to the castle with an optional tour of this restored. Day 3 – Ring of Kerry. 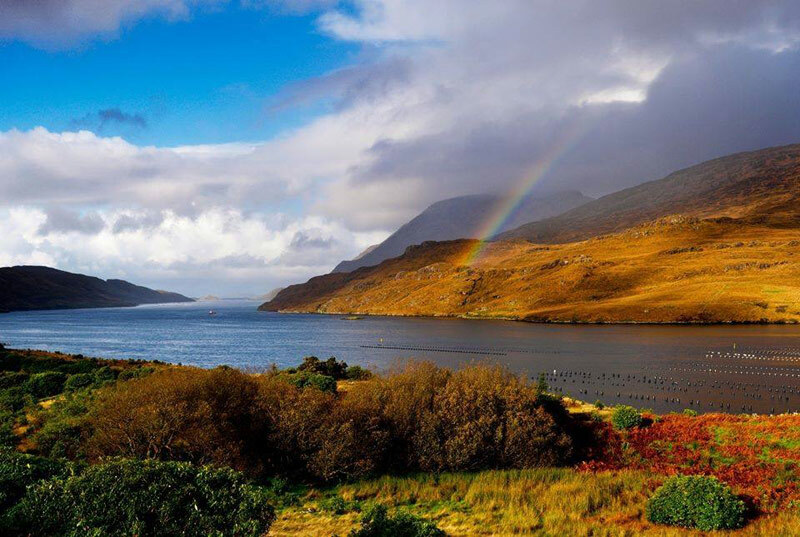 Set out from Killarney and through Killorglin on the ‘Ring of Kerry’ with panoramic views of Kerry’s Atlantic Coast. Visit to Skellig Island Centre on Valentia Island. Learn about monastic life in Ireland approx 1500 years ago. View the Skellig Islands which have been designated by UNESCO as a World Heritage Site. From Valentia follow the coast through Waterville on to the charming village of Sneem for a late lunch stop. Time to walk around the village and experience rural life in Ireland. From Sneem travel to Molls Gap and into Killarney National Park with elevated views of Killarney’s Lakes and Mountains from Ladies View. From here follow the scenic route towards Killarney Town stopping at Muckross House and Gardens. 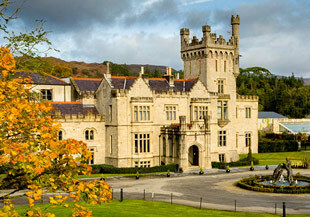 Optional tour of Muckross House, once visited by Queen Victoria is recommended. From Muckross House return to your accomodation. This is a full days tour full of history and scenery. Day 4 – Blarney and Kinsale. A change of scenery today. Travel from Killarney to Blarney, Co. Cork. Visit Blarney Castle and Gardens and avail of the opportunity to ‘kiss the Blarney Stone’. Time available for a snack and some shopping at the famous Blarney Wollen Mills. 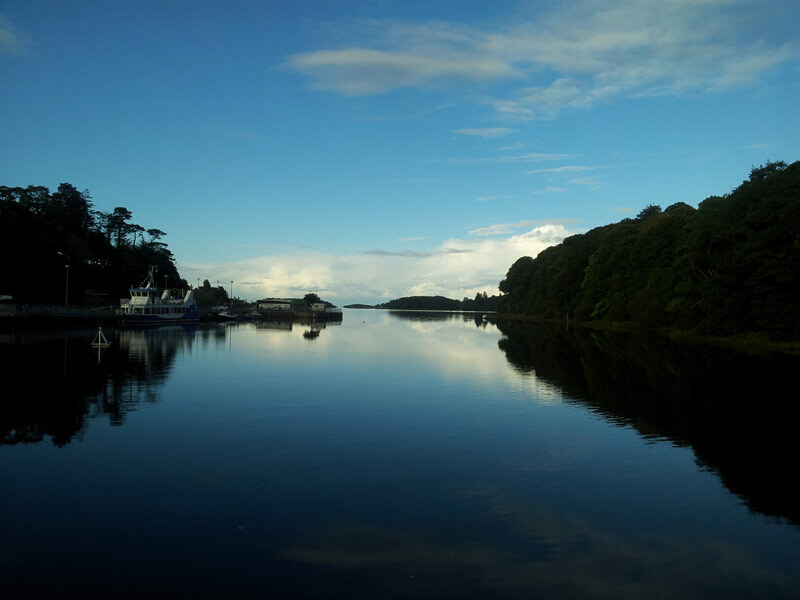 From Bkarney, travel to the charming and historic fishing town of Kinsale. Time available to wander around the narrow streets and have a late lunch of this Spanish influenced town. From Kinsale return to Killarney. This again is a full days touring. Day 5 – Back to the Wild Atlantic Way travelling from Killarney to Dingle Town and onto the coastal section of the Slea Head Drive. Experience the dramatic scenery made famous in the film ‘Ryan’s Daughter’. 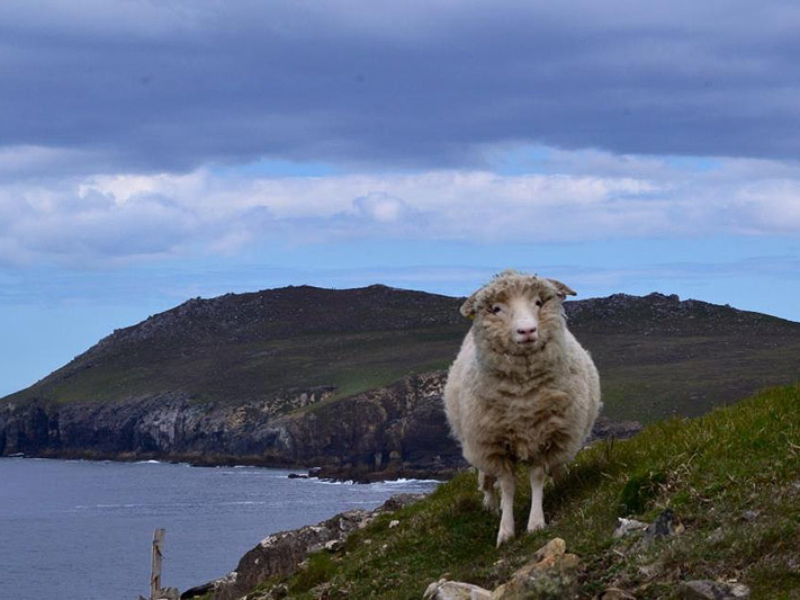 Visit the Blasket Island Centre and experience Island life on the Atlantic. Continue on the coastal route with dramatic scenery back to Dingle Town for lunch and time to explore Dingle Town and its many craft and other shops, or perhaps a visit to a pub to meet the locals who still speak Irish as their primary language. After a fully day touring return to Killarney for a final night in this town. Day 6 – Killarney -Galway. Leave Killarney and travel to Galway City stopping en route at Bunratty Castle and Folk Park for an optional visit. We arrive in Galway City in the late afternoon and having checked into your accomodation for a 3 night stay, there is free time to explore Galway City and its bohemian atmosphere. Visit the Quay Street area and sample the best of Galway’s pubs and restaurants. Day 7 – Connemara Today we travel from your accomodation in Galway City along the Atlantic coastal route into Connemara in West Galway. Connemara is another part of Ireland where Irish is the primary spoken language. We travel to the village of Roundstone where we stop for a light snack in this charming fishing village. From Roundstone we travel through Cliften to Kylemore Abbey for a late lunch and optional visit to this magnificent 19th century residence set within breath taking Connemara scenery. After this full days touring we return to your accomodation in Galway City. Day 8 – Delphi Valley to Westport in Co. Mayo.Another full day of touring. Leaving Galway we travel to Leenane and through the Delphi Valley to Westport in Co. Mayo. Wesport, declared to be Ireland’s tidiest town on more than one occasion, is a beautifully preserved planned town designed by James Wyatt in 1780 in the Georgian architectural style. Time to ramble around the streets of Westport and an early lunch. 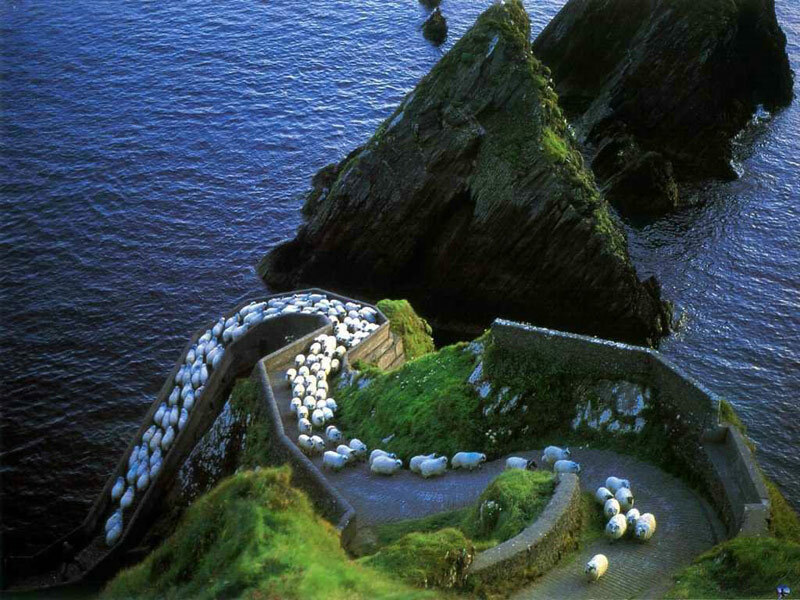 From Westport we travel to Achill Island, one of the few inhabitated Islands on Ireland’s Atlantic Coast. Having experienced the dramatic scenery on Achill and stopped for a light snack we return to Galway for your last night in Galway City. Day 9 – Travelling North. Today we leave Galway City and travel north to Donegal Town. En route we stop at Drumcliff to visit the resting place of W.B. Yeats, one of the foremost figures of 20th Century Irish Literature. From Drumcliff we have a lunch stop at Mullaghmore, Co. Sligo, a small unspoilt coastal village. On our final run to Donegal Town we stop at Rossnowlagh Beach to stretch the legs and arrive at your accomodation in Donegal Town for 3 nights in the early evening. Donegal Town is one of the most charming towns in the north-west region of Ireland and has a good range of restaurants and pubs for the visitor. It is situated at the mouth of Donegal Bay. 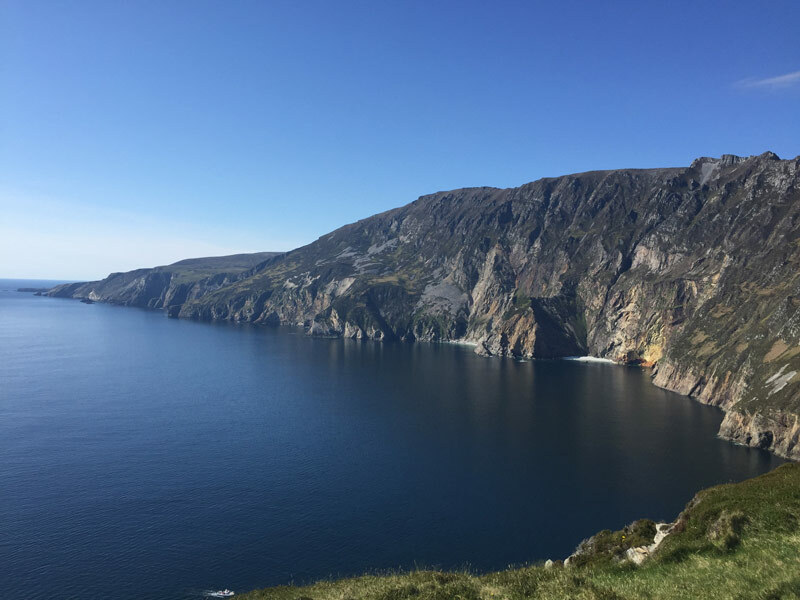 Day 10 – Atlantic Coast of Donegal Today we tour at leisure along the Atlantic Coast of Donegal to the famous Slieve League. From here we drive to Ardara for lunch and then onto Dunloe and loop around the Coast via Kincasslagh. Breathtaking scenery is to be found along this route. We will slowly return to Donegal Town to arrive back in the late evening. Day 11 – Donegal Town to Derry/Londonderry. A change of theme today. We travel from Donegal Town to Derry/Londonderry, crossing the international border into the United Kingdom at Lifford. In Derry/Londonderry we walk along the historic walls of the only walled city in the island of Ireland. We also visit the area wherein the more recent troubles in Northern Ireland commenced. Leaving Derry/Londonderry we return back into the Republic of Ireland and travel to Glenveagh National Park for late lunch and an optional visit to Glenveagh Castle. We return from here for your final night in Donegal Town. Day 12 – Museum of Country Life at Castlebar, Co. Mayo Today we leave Donegal town and travel south back to the Shannon area. En route we stop at the Museum of Country Life at Castlebar, Co. Mayo for lunch and a visit to the museum. We then travel to your accomodation in the Shannon area. Day 13 – Today we transfer in the early morning from your hotel to Shannon Airport for your return flight. 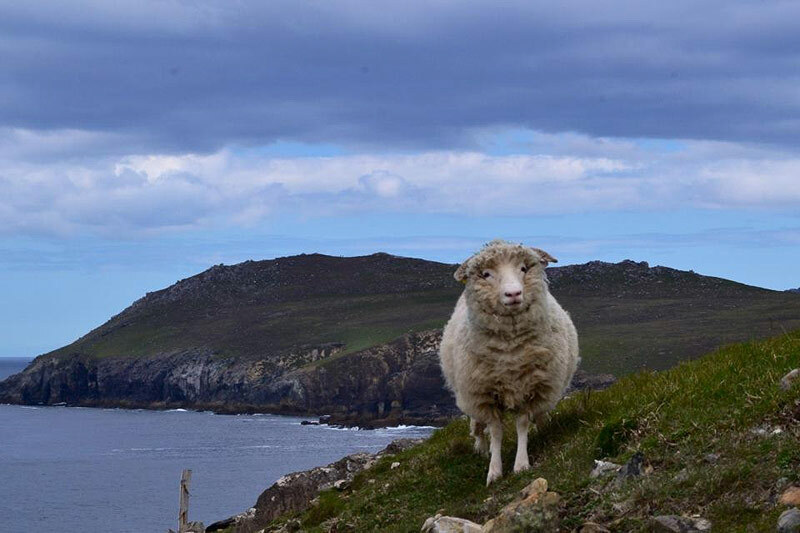 The itinerary outlined is a suggested sample tour of Ireland’s Wild Atlantic away and involves 5 nights accomodation in Killarney, 3 nights accomodation in Galway City, 3 nights accomodation in Donegal Town and one nights accomodation in the Shannon area of Co. Clare. Barry O’Rourke is the absolute best travel guide in Ireland! !